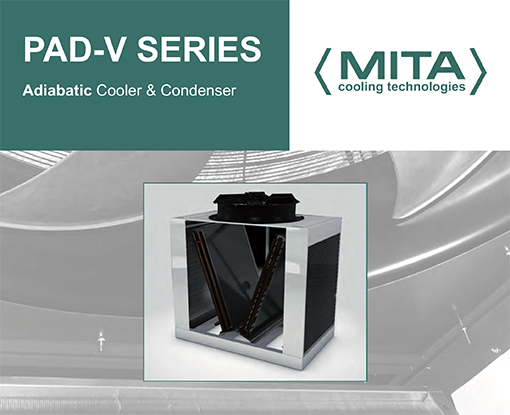 Mita Cooling Technologies, a company specialized in cooling towers and a longtime collaborator of Tempco, will introduce the new PAD-V series of adiabatic coolers at Plast 2018, the international exhibition dedicated to innovative technologies for the plastic and rubber industry in Fiera Milano Rho, May 29- June 1, offering increased energy efficiency in an even more compact design. The PAD-V series is a free cooling solution for fluid cooling and the condensation of refrigerants, designed for heat dissipation capacities of 75 to 1.100 kW. The combination with chillers allows not only to suspend the employ of compressors during the winter season, with dry operations and leveraging on low temperatures of external air, but thanks to the adiabatic process the solution extends the benefits of energy saving also during the summer season. Air temperature is indeed decreased using the adiabatic process which humidifies the air before it hits the coil’s finned surface, where then the heat exchange between air and the fluid happens, boosting the efficiency of cooler during the warm season. The PAD-V series is fully automated and managed by an operator panel equipped with a PLC, also offering the possibility of remote management. The user just has to set the wished temperature of the fluid and the system will self-adjust throughout the year optimizing consumption. Tempco design and engineers applications for the cooling of machines and process in the plastic industry since many years, developing free cooling solutions that enable the substitution of chillers whenever allowed by environmental conditions, avoiding high energy consumption of air compressors. 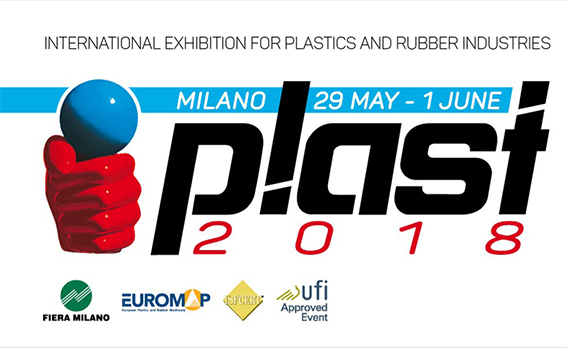 The high control level offered by the new PAD-V adiabatic coolers, combined with the employ of high efficiency heat exchangers, opens new interesting opportunities for free cooling integration and new levels of energy efficiency in the plastic and rubber industry.